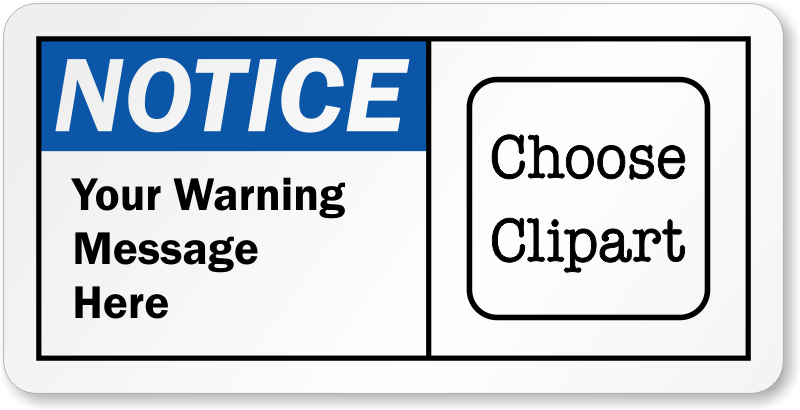 Create an ANSI compliant Personalized Notice Label to suit your requirement and inform people of important safety information. Laminated vinyl protects the print against water, chemicals, and weather. Customize easily in minutes with our free online wizard.